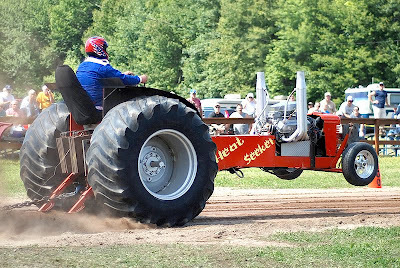 It's that time of year again, for tractor pulls & baking contests. Throughout September there will be numerous county fairs around the state. This weekend there were three, and we chose to take a trip to the closest one in Haddam Neck. It was an hour ride on the scooter and we arrived just in time to see the tractor pull. 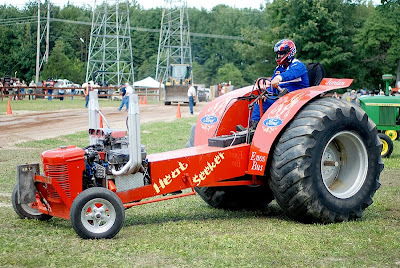 As you can see, these are pretty big tractors and built for one purpose - to see how far they can pull a large block of concrete. The winner managed to get just over 100ft. 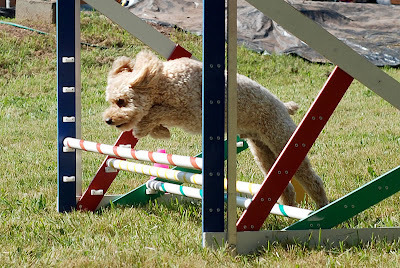 We also spent some time watching the dog agility course. 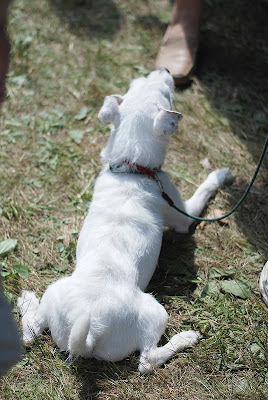 There was a wide variety of dogs, large and small. Most knew exactly what they were doing. A few seemed to be oblivious to the obstacles. This little guy was taking a rest. 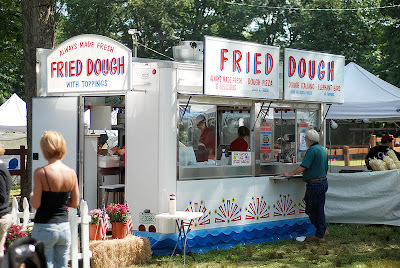 No fair would be complete without fried dough.